Hi Blog. Some good news worth bringing up here for discussion. The upcoming Immigration guideline changes that would have required enrollment in Japan social insurance for visa renewals has been dropped, or at least deleted from their checklist of requirements. On balance, this is a good thing. I have heard plenty of complaints from NJ saying how they would have to stump up full back payments for insurance that their employer should have paid half of (but utilized the cut-off starting point of 30 hours/week for “full-time” mandatory employer insurance contributions by employing their NJ staff contractually for 29.5 hours), or be denied a visa renewal. Of course, Japan’s (pretty weak) labor law enforcement bodies should have gone after these exploitative employers, but Immigration instead did the quick and dirty (and, yes, sensible) step you see below of just snipping out the guideline. It’s still a good thing, in that pressure for flexibility in the system for NJ who may have otherwise been shafted both ways by the system did win out. The Immigration Bureau is planning to change a new guideline for foreign residents to ease concerns that those without social insurance will be forced to choose between losing their visa and entering the insurance system, a bureau official said Monday. But some foreigners warn the move won’t be enough to entirely free them of the risk of being forced to enter the insurance system. The wording of the guideline, which is to be enforced April 1, currently stipulates that foreign residents must present their health insurance card when reporting changes to or renewing their residential status. It is the last of the guideline’s eight items. The bureau will try to persuade foreigners who don’t have the card to enter the social insurance system by giving out brochures, but not having the insurance won’t affect the bureau’s decision whether to grant a visa, he said. Regarding the Immigration Bureau’s decision to rescind its earlier ruling requiring proof of social insurance enrollment for visa renewal: While this may appear to be “good news” in that foreign residents who aren’t currently enrolled will still save some money by not being forced to pay into the social insurance system, it’s wider implication for foreign workers, and what it says about the quality of reporting in “the Japan Times,” is disturbing. The article states that the reasons foreigners aren’t in the national social insurance system are that they either prefer the services of foreign-oriented clinics that don’t take national health insurance, or that they simply don’t want to pay the social insurance premiums. However, this is disingenuous in that it leaves out other major reasons foreign workers aren’t in the social welfare system; either their employers break the law by not enrolling them at all, or they keep workers hours just below full time, at 29.5 hours. Indeed, it is actually companies who depend on foreign workers that would likely most oppose their enrollment since it would mean employers would have to fulfill their legal obligation to pay half of their health insurance and pension. In addition, Japan Times is giving unequal time to Ron Kessler [see full article], whose Free Choice Foundation has been found to have ties to a major health insurance provider for foreigners in Japan that would certainly be adversely affected by the original ruling forcing foreign workers into the social insurance system. Leaving aside the ethics of astroturf campaigns, which the Free Choice Foundation appears to be, I do not deny the right of individuals to lobby according to how they perceive their interests. However, Japan Times should balance the views of Mr. Kessler and the Free Choice Foundation with those of organizations like the NUGW-General Union or individuals who support the government making a social safety net that protects all residents of Japan. There is no doubt that the current social insurance system leaves much to be desired for foreign residents, especially since those enrolled in the government pension system can only get a lump sum of three years of pension payments when they leave, no matter how long they’ve paid in. However, since pension payments are now portable for citizens of the United States, Germany, and other countries that have bilateral pension treaties with Japan, this problem is on its way to being solved. The problem of underemploying almost-full time workers to escape enrolling them in the social insurance system is more difficult to deal with under the current scheme. However, if there were one national insurance system that all people working in Japan were enrolled in, and into which their employers paid in proportion to hours worked, this problem could be solved as well. Having one national health insurance for all would also solve the Japanese government’s larger problem of getting cash and care for its own citizens, many of whom work part-time, and thus lack employer social insurance contributions. In the future, here’s hoping the JT will do a better job of reporting the wider issue and its implications, rather than looking just at apparent short-term benefits. I had spent 6 years in Japan and always opted for Kokumin Kenko Hoken. No one can force a damn law on either me or my company there. Neither was I obliged to pay the Pension dues as my company was an Indian Branch or foreign based company. The worries mentioned by TA are absolutely correct, but on top of it, the question that arises in our mind is that, why we should dole out huge sums of our salaries (either by own contribution or by employer contribution) to a Pension Fund of Japan, which is absolutely crumbling / full of own frauds and scandals. 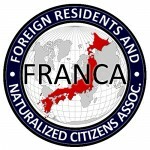 Perhaps the only reason why Japanese Government makes it compulsory of foreign people is because for the fear of Visa, they will shell out some good money and can never take it back to their countries. I think that is the only real reason behind all the complexities involving NJ workers and compulsions being forced upon them. And as you said, the proposed step, a very small relaxation to NJ community perhaps, is still welcome as it eases mental tensions, if not financial ! TA’s response to the Japan Times article was better than the article itself. While the visa issue is important, the issue of non-Japanese (and many Japanese) getting shafted by their employers is much more important. I paid my own heath insurance for eight years until I got my present job, not realising that my many employers should have been paying half of it. The same with the pension. That’s eight years of contributions that I could have received. The labour ministry should do more to enforce the laws and codes it has to keep ALL working people safe and unexploited. Is TA’s letter online, or only in the print version? — Was sent, will hopefully be published. It’s here if not. 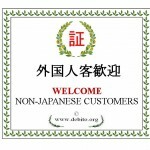 Pingback:Japan health insurance: internet stirring up « Hoofin to You! The system only works if everyone contributes. Encouraging others to defraud the system only serves to undermine what it was designed to do: provide a bit of a safety net for those that were unable to fully provide for their retirement years after being forced out of work for being deemed too old. The Japanese government makes it compulsory for all persons living in (and thereby receiving benefits of) Japan. Japanese citizens are allowed to contribute to the pension system if they are living overseas but are of course exempt from health insurance. I pay a rather NON insignificant combined sum in taxes/national pension/health insurance. And I take great offense when a local Japanese tells me “it must be great being a foreigner because you don’t have all those taxes/pension/health insurance deductions.” I correct that way of thinking quickly and in no uncertain terms. Yes, there are employers that are screwing their employees by not providing appropriate pension/health insurance plans and they should have their feet held to the coals for that until corrected. But that doesn’t alleviate anyone of their legal responsibilities to join the system on their own rather than try to skirt the system with some feeble excuse like “I will never get any benefit out of it” or “this is just a tax on foreigners!” Those are both wrong and selfish. As far as I understand, for heathcare, the employer must enroll their employees in heathcare benefits (kenkou houken) and pay half if their workers work more than 28 hours a week. As well, they must also deduct Pension payments (kokumin nennkin) from their paychecks as well. My employer had asked us last year when increasing our work hours if we were interested in either having 28 or 29 hour work weeks. If we did 28 hour weeks, we would have no benefits but would have a larger paycheck. If we did 29 hour weeks, by law they would have to give us benefits and our paychecks would stay about the same. Needless to say, we all voted for the 29 hour week. Bureaucrats don`t care about this issue. NOVA, AEON,GEOS etc., dispatch companies, and the companies that operate factories using thousands of foreigners have never been dealt with accordingly and it has been going on for decades. This decision eases the minds of individuals in regards to the back payments, however proper benefits are still not being provided by countless companies. It`s such an outrageously ridiculous problem that it`s comical.